I haven’t written anything except for journal entries in just about a month. I think the reason behind this has been pretty simple. I needed to regroup my thoughts. More specifically, I’ve been reading things that I feel have been having a wonderful impact on my thoughts and writing projects: The Prophet by Kahlil Gibran, Scary Close by Donald Miller, and Naked Human by Christopher Poindexter. They’re all very different from each other, but they have one thing in common: authenticity. I’ve been thinking a lot about relationships lately. Not just romantic relationships, but mostly the friendships I’ve formed with the people I’ve met in Tyler since I’ve been back. In fact, I had a conversation with an old friend this week about how he was proud of me for being social and actually connecting with people in town. The thing is, I don’t even feel like I’ve been trying to be more social or getting to know everybody I possibly can. I’ve just been more authentically me. I’ve been more open and honest and friendly, and there’s a sense of freedom that comes with that. I’m not saying this in a bragging sort of way, but I think because I’ve been more willing to be wholly genuine, the people I’ve met and have surrounded myself are also like that. That sense of honesty is the breeding ground for intimate friendships. That celebration of genuine humanity- both the positive and the negative- inspires people to open up and help each other through the struggles. It’s a very rare thing to be part of a community that is so willing to talk about their downfalls. Everybody enjoys sharing their achievements and happy moments, but it’s not very often that you stumble across a group that can be truly supportive even when people are admitting the faults that hit the very core of who they are. Because of this, you really get to know the souls of people, not just the outer shell that many of us wear on a daily basis. You are able to support their dreams with joy and without any sort of jealousy or bitterness. Willowy frames swaying with every strum of the bass. Spectators watched every hip sway and every limb move. It was a dance of seduction and passion, but you couldn’t avoid it- you couldn’t look away. The girls in the front knew what they had and the only thing on their minds was celebrating that- reveling in all that was free love- and they reached out their arms in an attempt to bring that love to the rest of the room. It was extravagant, yet bare bones simplicity. They all had pasts that had turned them into sirens, women who were so beautiful in their youth and freedom, but could drive you to the point of begging to throw your soul upon the rocks. The whole space made you feel as if you had been transported to another world. 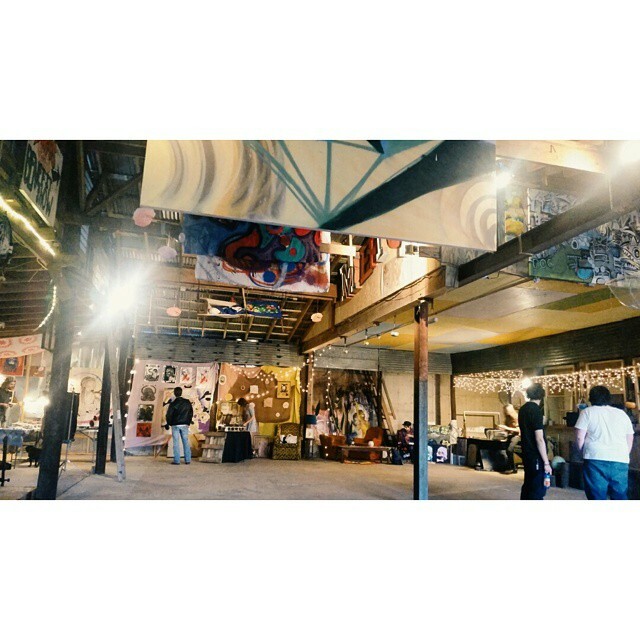 It was a warehouse that had been converted into an artist’s safe haven. Paintings covered every wall and hung from the rafters. A stage was set up in the middle of the room for the various musicians in the room to properly express their thoughts and feelings the best way they knew how. He had been encouraged to get up on that stage all night. Words were what made him come alive. He wove them together like a spider weaves a web, both parts artistry and survival. If everyone in the room had a title, his would have been Poet. He was the best at what he did, and while he was confident in many areas, the constant second-guessing in this facet of life made him more of an artist than he was probably willing to admit. He climbed up on the stage and even the willowy sirens fell silent, for they too felt the respect that his words commanded. There was a hush in the room as everyone sat with anticipation until he took a deep breath and began to speak.